Biased American and Western Media Continues its Propaganda against Pakistan by publishing Fake Baseless news about Pakistan Army, ISI and Its Nuclear Program. 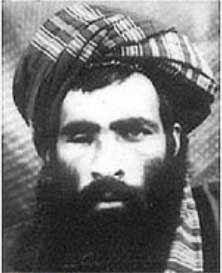 A Famous American Newspaper Washington Post has recently published a report in which it is claimed that Afghan Taliban leader Mullah Muhammad Omar was admitted into a Hospital of Karachi after heart attack with help of Pakistan's Intelligence Agency ISI on 7th January 2011. Washington Post claims that it is also confirmed by CIA officers. According to report Mullah Omar was kept in Hospital for four days and now he has recovered completely. Pakistani's officials has rejected this baseless report of Washington post and called it a big lie. Pakistan's Ambassador to US Hussain Huqqani has said that its a try to give bad Image to Pakistan. US Media keeps on claiming that ISI is helping the Taliban in Afghanistan.